DALLAS, TX--(Marketwire - September 27, 2007) - Xterprise Incorporated, a leading global provider of RFID-enabled High-Definition Supply Chain™ applications and a Microsoft Certified Partner, announced today that it has added two new executives to its management team to be catalysts in leading the continued strong global growth of the company. 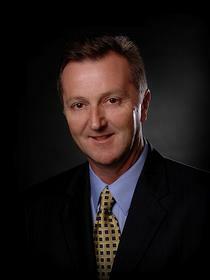 Doug Wallace has joined the company as Chief Operating Officer and will be responsible for delivery and sales. Mr. Wallace comes to Xterprise from Fujitsu Transaction Solutions (FTXS), the industry leading retail systems company, where he most recently held the position of Senior Vice President of Sales and Client Management. 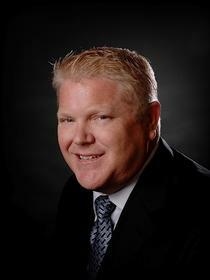 He also held the positions of Senior Vice President of Client Operations at FTXS and Vice President of Managed Services. During his leadership, the company grew market share by more than 50% capturing and delivering some of the largest retail point-of-sale and self-checkout solutions awarded during that period. Previous to FTXS, Mr. Wallace held various sales and operations positions at ICL. Doug has a Bachelors of Science Degree in Electrical and Electronic Engineering from the University of Nottingham, England. Jim Caudill has joined the company as Senior Vice President of Marketing and Strategy and in this role will lead all marketing, product management, alliances and strategic sales consulting activities. Mr. Caudill comes to Xterprise from supply chain planning and execution application company i2 Technologies, Inc. where he most recently held the position of Vice President of Strategic Solutions. While at i2 he also served as Vice President of Solutions, Strategy and Alliances and worked closely with Microsoft in that capacity. Prior to i2, he was with Yantra Corporation where he led the distribution and logistics vertical. Mr. Caudill holds a Bachelor of Science Degree in Computer Science and Mathematics from The California Polytechnic University. He is a respected speaker, author and industry thought leader regarding supply chain applications and trends. "As our product and go-to-market strategies continue to be successful, we are focused on profitable, global growth and the foundation for this is additional leadership talent with proven supply chain applications experience and a strong network of global contacts," said Dean Frew, President and CEO. "Doug and Jim are in key complementary roles, their respective and growing organizations will be the catalysts for our success and I look forward to working with them in making Xterprise the leader in our market." In addition to the executive appointments, Xterprise has closed a $2M funding round -- a "C" round. This round of funding is from its current investor, Logispring LLP, and brings total institutional investment in the company to $7M dating back to November of 2003. This round will be used to fund growth in sales and delivery capacity in North America and Europe as well as innovative new product development. "We continue to be excited about Xterprise, as the company is growing rapidly and is emerging as a major provider of software applications and RFID-enabled solutions for asset/reusable transport item management, and network and flow operations. The company stands out in the RFID field as it has been able to define true opportunity, both for its customers and its investors, and we are proud to be a part of its success," said Frans van Schaik, Managing Director, Logispring LLP. "With the company profitable in most periods of its last fiscal year, it was not a difficult decision for us to invest more capital to further boost the company's growth." Xterprise solutions combine Microsoft technology, continuous improvement and lean supply chain expertise, enterprise supply chain systems integration along with RFID technology, delivering previously unachievable levels of visibility, assurance, accuracy, process improvement and value to clients. "In highly competitive environments today, enterprises are striving to find net new efficiencies within their supply chains. Software continues to be an increasingly important enabler toward this goal," said John Fikany, vice president, U.S. Commercial Sector, Microsoft Corp. "As a Microsoft Certified Partner, Xterprise builds vertically relevant solutions on Microsoft's familiar, easy-to-use and widely supported platform, to help fuel supply chain innovation and continuous process improvements." Xterprise Incorporated was founded in 2002 as a provider of RFID (Radio Frequency Identification) applications. Today, the company delivers high-definition RFID-enabled supply chain applications and solutions to leading global companies that include Siemens VDO (Continental AG), Dairy Fresh, Dell, iGPS, J&J, ExxonMobil, L'Oreal, Schoeller Arca, Timco, TNT Express, and others. Xterprise has pioneered RFID Service Oriented Architecture (SOA) applications and RFID data analytics throughout its deployments in North America, Asia and Europe. Their solutions suite includes XAM™, XAM-RTI™, XARM™, TraX™ and AnalytiX™. Since its founding, Xterprise has grown rapidly and continues to deliver exceptional returns for its shareholders with a proven business model. The Xterprise global headquarters is located in Carrollton, Texas (Dallas/Fort Worth). Their European office is located in Beverley, UK. For additional information call +1-972-690-9460 US, email info@xterprise.com or visit www.xterprise.com. Logispring (www.logispring.com) is a venture capital firm with a "balanced portfolio" strategy focused on building businesses for global supply networks, covering the areas of industrial processes, manufacturing technology, enterprise infrastructure, mail, transportation and logistics. The firm has a transatlantic portfolio, and operates out of offices in Geneva and New York. The key ingredients of Logispring's strategy, and the drivers of the firm's success, are its focus on supply networks, its international scope, and the quality and passion of its team. Brand names mentioned herein are the trademarks of their respective owners.